Before we get to the updated Garden List, there's something I've forgotten to do for almost a week: update my blog colours. I must admit, I'm a little sad to see the pink go. But since the summer reminds me of green and lush vegetation, my blog colours should remind me of green and lush vegetation! But a little pink thrown in to keep things exciting :) Happy summer! While I'm on the "happy trail", happy belated Canada Day to my Canadian readers, and happy 4th of July to my American readers! 94. Japanese spirea #2 (Spiraea japonica 'Norman'): read all about spireas HERE. 91. Daylily (Hemerocallis sp. 'Bertie Ferris'): read all about daylilies and the umpteen different cultivars available starting HERE (at the bottom of the page, press "older posts" to read previous blog posts on the same topic). 89. Sugar maple (Acer saccharum): read all about sugar maple trees HERE and HERE. 75. At least four different cultivars of garden roses (Rosa sp. ; many are unknown cultivars): you can read all about roses HERE and HERE. 59. Garden weigela, wine and roses weigela, old fashioned weigela, or any number of other common names used for this species (Weigela florida 'Alexandra'): read all about the "catnip shrub" HERE. 19. Moss phlox (Phlox subulata): red all about moss phlox HERE and HERE. 16. Tulips, at least 2 different unknown cultivars (Tulipa sp. ): read all about tulips HERE. 15. Hyacinths, at least 3 different unknown cultivars (Hyacinthus orientalis): read all about hyacinths HERE. 14. Daffodils, 2 different unknown cultivars (Narcissus sp. ): read all about daffodils HERE in my blog post about plants of the Chinese New Year. 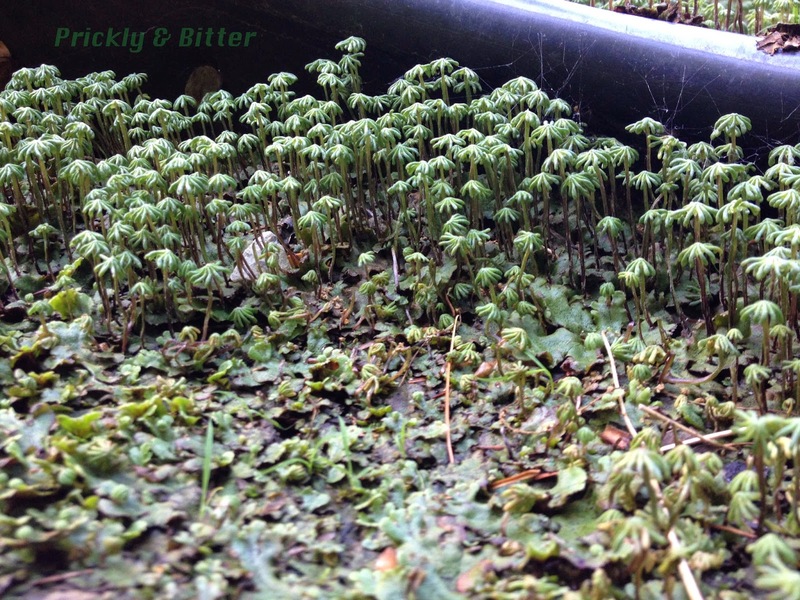 More pictures of the umbrella liverwort in "full bloom" because...aren't they just the cutest?! 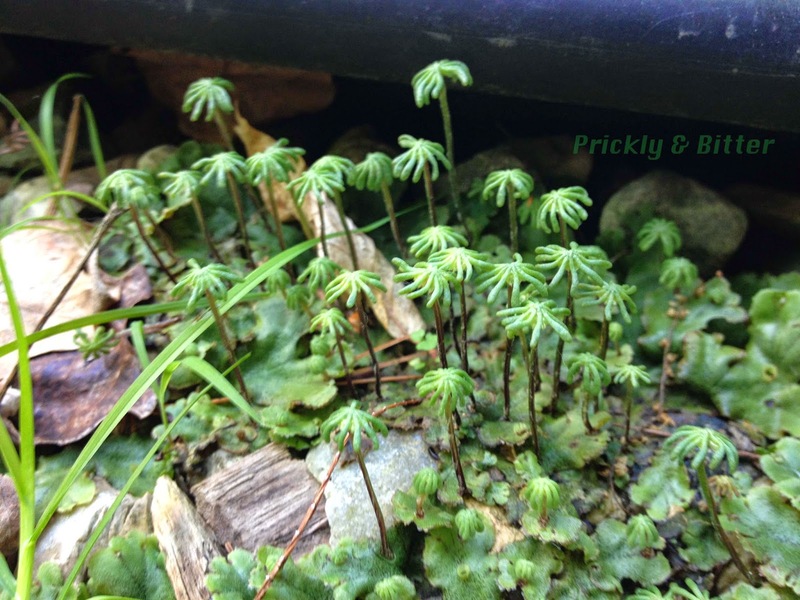 It looks like an entire forest, just on a really small scale. Like it was part of the movie set for "Honey I Shrunk The Kids"